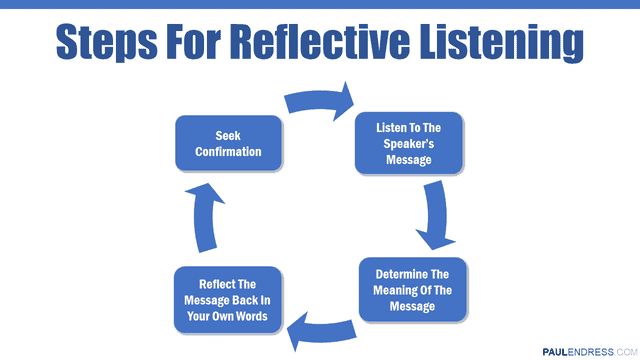 Use reflective listening to solve problems and communicate effectively. Reflective listening is decoding and verifying the other person’s message. If you’re in a hurry or don’t like a lot of details, here’s a quick summary of the video. My definition of communication is “the effective transmission of an idea from one person to another”. You can know if communication has been effective by whether the person who receives the message has the idea that the person who sends it intended. Effective communication is about transmitting and understanding ideas – the words are just a method of conveying the idea. Reflective listening is an effective way of verifying that you’ve received the message as intended because you reflect back the idea and verify what you think they meant by what they said. One of the reasons that listening fails is that the listeners brain can process information faster than the talker can talk so their attention wanders. Here’s my post that explains why communication fails. The solution is to use reflective listening. Reflective listening takes some energy because you need to expend energy to suppress the extra brain cycles and force yourself to pay attention instead of thinking of other things. Almost everyone is naturally internally focused and starts to think about what they think about what the person is saying rather than continuing to listen. 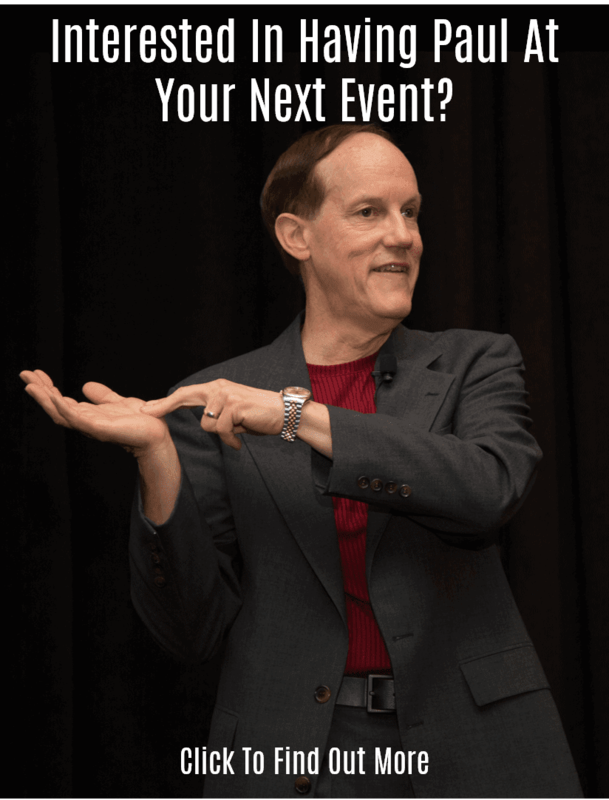 With reflective listening you force yourself to suppress this natural tendency and reflect back on what they meant by what they said – not necessarily what they said. Reflective listening is not paraphrasing or parroting – it’s what they meant by what they said – not the words that they used. It’s about the idea, not the words. It’s not necessary to expend the energy to listen reflectively all of the time (or even most of the time). Here’s the key: the more important the conversation, the more important it is to listen reflectively. This is because the consequences of a misunderstanding in an important conversation are greater than in other conversations, so it justifies your investment in the energy it requires to focus. There is no value in the parroting as it doesn’t verify your understanding – it simply repeats the words back. Reflection: “If I’m hearing you correctly, seeing those corrections was a big surprise.” <This is what you think they meant by what they said – not what they said. Once you reflect back successfully and they verify the message, there is a high likelihood that they will tell you more. If both people are using reflective listening at the same time you will have a very deep and meaningful conversation. It may not be a long conversation, but it will be of high value to both parties. Unfortunately, this is the exact opposite of most conversations. Control your facial expressions. This is particularly important for certain communication styles. You’re going to find that reflective listening will supercharge your communication. Not only will you get your ideas across, but more importantly you will get valuable ideas from other people – and prevent communication mistakes and conflict.